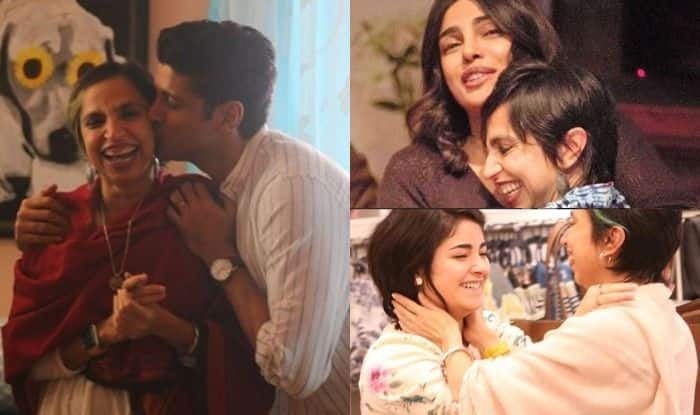 Priyanka Chopra and co-star Farhan Akhtar have finally wrapped up the final schedule of their film The Sky is Pink. Director of the film, Shonali Bose shared a post on Instagram where she mentioned about the final schedule dates. Shonali took to her Instagram to share two pictures of herself with a long heartfelt caption that read, “Overjoyed to be back in the saddle in my beautiful office in Roy Kapur Films prepping for our final schedule of The Sky is Pink – March 1 – 12.” She further added, “I am filled with wonder and gratitude to be making the film I wanted to make, such a deep and personal story from the depths of my soul – and be so supported every step of the way by my amazing producer and crew. And of course my wonderful actors. ‘ Shonali ended the note in this manner, ‘Thank you Ishan Bose-Pyne and Aisha Chaudhary – for sprinkling down stardust from your sky and bathing me in a rosy light with a pink hue”. Directed by Shonali, the film is co-produced by Priyanka, Ronnie Screwvala and Siddharth Roy Kapur. Apart from Farhan and Priyanka, the film also stars Dangal actor Zaira Wasim. The Sky is Pink is based on the real-life story of motivational speaker Aisha Chaudhary who gets diagnosed with pulmonary fibrosis. Zaira will be playing the role of Aisha in the film. Priyanka recently unveiled her wax statue at Madame Tussauds Wax Museum in the New York City and also revealed that her wax figure will also be unveiled in other cities across the world, including London, Sydney and Asia. Priyanka is currently busy promoting her next Hollywood film Isn’t It Romantic, which also stars Rebel Wilson, Liam Hemsworth and Adam DeVine. The film will release in the United States on February 13, 2019, and on Netflix on February 28, 2019.